Could Britain become a zero waste nation with Hilary Benn's 'War on Waste' campaign? Here’s a story that is music to our ears and brings good cheer to our heart, and I’m sure you’ll agree. According to DEFRA and some national newspapers today, the UK is set to change its packaging requirements and guidelines over the next ten years. We reported this week that Hilary Benn has plans to change the way manufacturers use ‘Best before’ and ‘Use by’ dates with his ‘war on waste‘ campaign. Well now we are to see lots more activity to reduce landfill waste by increasing recycling facilities and reducing waste packaging. Is a zero waste Britain going to become a reality? 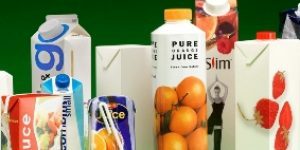 “Consumers will see a major overhaul of all packaging over the next decade, under plans announced by Environment Secretary Hilary Benn today. The Government’s new packaging strategy, Making the most of packaging, looks at the packaging of the future and what our shop shelves and kitchen cupboards should look like if we cut the amount of packaging produced, used and thrown away, and increase the amount recycled. Banning of some materials, such as aluminium and glass, from landfill altogether is also being considered. “We need to rethink the way we deal with packaging, from production line to recycling bin. The plans we’ve announced today set out how we will achieve that – with the goal of making it as easy as possible for consumers to avoid needless packaging in the first place and to get rid of what they do receive in a way that doesn’t just create more landfill. I also want consumers to play their part by reporting excess packaging wherever they see it – because we’re all in this together. 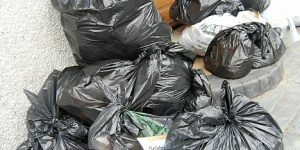 “Packaging waste is a major issue for shoppers, local authorities and retailers – and we need to join forces to tackle it. By working across the whole supply chain, we have greater opportunities to make a positive difference. We need to cut excess packaging whilst recognising that the right packaging can help products last longer and so reduce waste. This is crucial if we are to meet UK targets for keeping waste out of landfill. I’ve highlighted the bits that particularly excited me about these proposals and as usual, we’d love to hear your thoughts! I’ve pinched some bits to put on my blog and also linked the article back to here. This is what we have been striving towards with our ultimate goal. These changes are most welcome to ourselves as Zero Waste enthusiasts. The government has seemed to stand back from the waste issue making us, lone voices for sustainable waste. We can only take satisfaction in our push for Zero Waste which can make landfill/incineration irrelevant to the countries needs. The changes have still to happen so we should keep up our pressure on the many waste issues we face. The time for home waste reduction to cease is still a long way off, though our everyday challenges may gradually disappear. Am especially impressed by #4 – packageless option for everything!! 🙂 Go Britain!! @John Costigane: John. this all feel good – let’s hope words turn into action! @Layla: Hi Layla, well it would be nice to think Mr been was popping in to see what is going on over here 🙂 Whether he does or not, some of his ideas are wonderful – as you say; full of common sense. Let’s see – another story is up today from the Times, which makes for great reading.